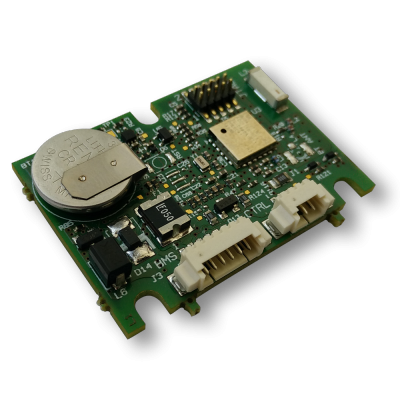 The ESB CORE is a communication module providing connectivity of an existent BMS and/or a Controller board to a smartphone/tablet through a Bluetooth™ Low Energy interface. Available on UART, SMBUS and CAN BUS protocols, the ESB CORE monitors the diagnostic data, retrieved from the BMS and/or the Controller, and transmits them to the ESB System via the smartphone/tablet app. Having vehicles embedded with the ESB CORE allows end-users to have all ESB.CORE features enabled.